Today was just too nice of a day to stay home, so I headed out to the local botanical garden, cameras in hand, pen, and paper. Bulbs are up and beginning to blossom; the ones in the shade are getting there – more for later visits! Birds, butterflies, bees, cool breezes. 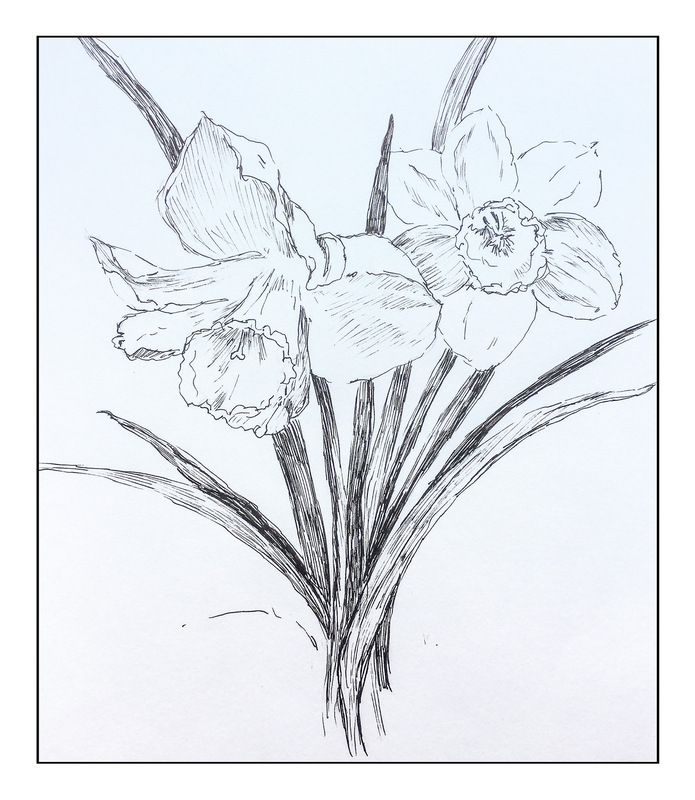 Since I have been playing around with the exercises in Alphonso Dunn’s fine book today, I decided to continue the adventure and draw some daffodils with pen and ink, but follow through using watercolor pencil. I laid down the major lines in pencil, and followed through with a fine pointed Namiki pen with waterproof ink. 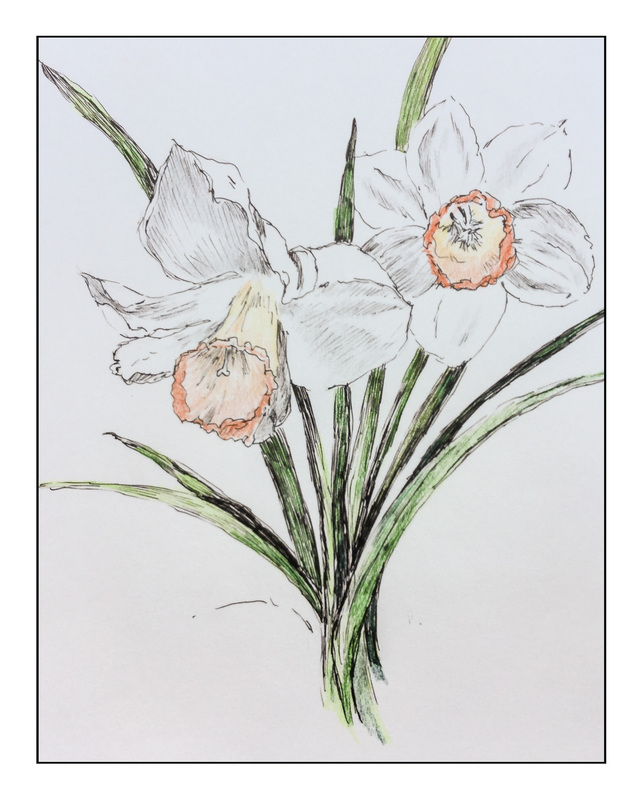 Next, direct application of Faber-Castell’s Albrecht Durer watercolor pencils. And finally, using a water brush, I wet the colors, taking time to use a light touch. A few lines of extra ink, and it was done. 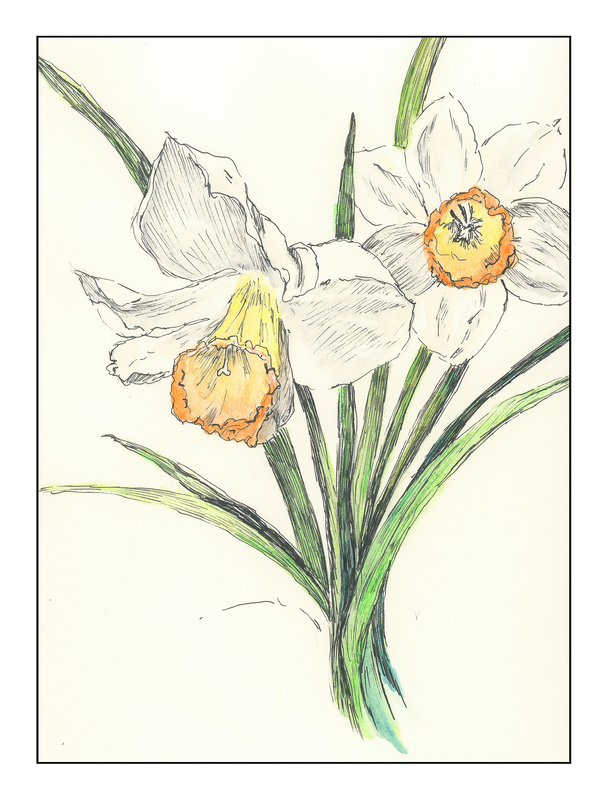 Below is a gallery if you wish to cruise through the sequence from pen, pencil, and water. Thanks, Sharon. It turned out better than I expected!